Work sucked today, but at last your shift is over and you can finally retreat to the closest dive bar with some coworkers. You know that it’s going to take a few drinks to start recuperating, and you’ll show your commitment to the group by buying a round. 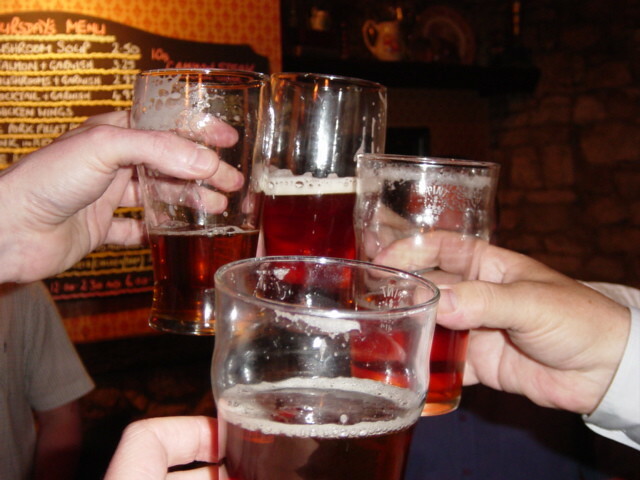 Buying a round is like an informal contract for the group. If somebody buys a round, it’s only right to return the favor. Then somebody else has to buy the next round, and somebody else gets the round after that, and the cycle continues until closing time or when people start passing out. Drinking is a social lubricant and buying a round is like K-Y Jelly.